To start. Ink. 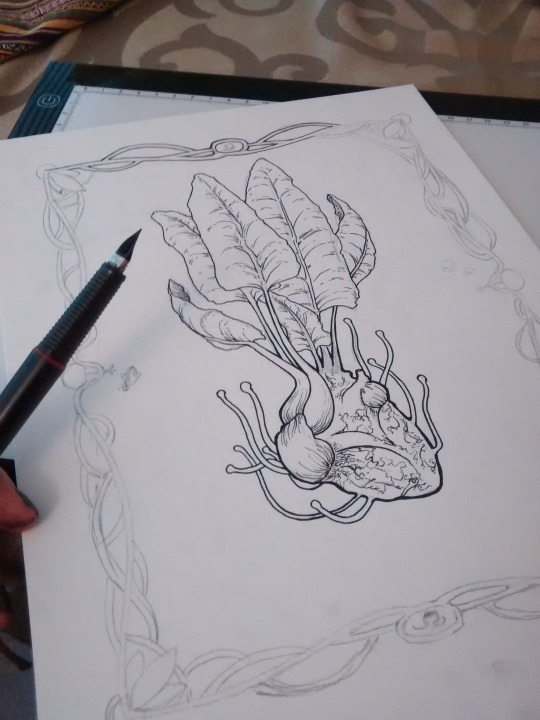 ❤ I used to hate inking traditionally, because it was the point in the painting/drawing where all your hard work could go the way of the dodo in one flat second. And it has. But then I realized it was also the point where a interesting sketch could transform into A Real Thing. And the biggest moment of relief was making an effort to never ink directly onto my sketch, but instead to use a lightbox. This meant if I screwed up, whatever, just throw on a new sheet of paper and start over again. Yes, I lost all my previous work, but realizing that if you did it once you can do it again is incredibly freeing. I recently started experimenting with new inks, and sort of fell in love with a fancy-pants one. 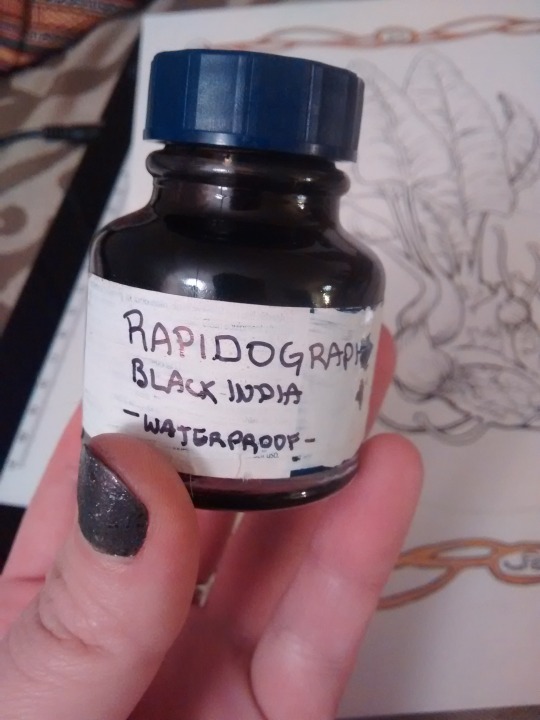 (not in its original container) – Rapidograph black India ink! It’s fancy enough to be used in fountain pens, and makes a suuuuper delicious looking line. And now comes the second point of this post. A friend and I VERY SOON are going to be unveiling a project that is going to be Super Cool. It involves art and stories both, and if you like seeing behind the scenes stuff like this, it is totally going to be your jam. The Wiscon Art Show has come and gone, but I thought I’d show some pictures of my area. I sold some prints and one original piece, and had an amazing time getting to meet other local (and non local) artists.